The Library Hotspot lending program was first piloted by New York Public Library (NYPL) over the spring 2014 using 100 Wi-Fi modems with unlimited 4G data plans provided through Mobile Beacon. 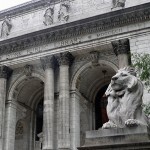 The catalyst for the pilot began after a survey of patrons revealed that 55 percent of those utilizing free Internet and computers in NYPL’s branches did not have broadband access at home. When household income dropped below $25,000, that percentage increased to 65 percent. While NYPL has provided a significant bridge to this digital divide through hosting 3.1 million computing sessions and providing patrons with access to 1,539 laptops, sessions are limited to 40 minutes and seating is limited. NYPL set out to demonstrate a new model of public service by “loaning out the Internet” via portable Wi-Fi modems to underserved patrons. Patrons spent an average of three hours per day using the Internet (compared to a 40-minute session using a library workstation). The majority of time spent online was between 6-11 pm when the library was closed. Respondents indicated frequent usage of library-recommended learning resources. Patrons used an average of 9 GB of data per month. The majority of participants reported they have gained confidence in both their own and their children’s ability to use the Internet. 86% of pilot participants reported they would renew this service. The results from the 100 device pilot helped NYPL secure a grant from the Knight News Challenge, an initiative of the John S. and James L. Knight Foundation, Open Society Foundations, and Robin Hood Foundation, and an additional $1 million donation from Google. This funding enabled NYPL to expand the pilot program to 10,000 mobile hotspots, making it the largest library Internet lending program of its kind. Mobile Beacon and Sprint teamed up to provide unlimited 4G Internet service on Sprint Spark, an enhanced LTE service that is built for data and designed to deliver peak wireless speeds of 50-60 Mbps. If patrons move out of a 4G coverage area, they will be able to fall back on Sprint’s 3G network, ensuring greater continuity of service throughout the City. Brooklyn Public Library is allowing patrons to borrow the hotspots for one year if they don’t have broadband access at home and attend a training session. NYPL is allowing patrons to borrow devices for one year if they don’t have home Internet access and are enrolled in one of several library programs, including after-school or adult learning programs. Queens Library patrons who are enrolled in an adult education program can check out the hotspots for one month and renew up to three times. The Library Hotspot Loan Program is a collaborative program by New York Public Library, Brooklyn Public Library, and Queens Public Library to provide thousands of low income New Yorkers with free Internet access.